The week is half over. It’s also July 3, 2013. It’s the 184th day of 2013; the year is half over. What have you done this week? What have you done this year? What will you do in the second half? Whatever you’re doing, don’t give up. Wednesdays can be the longest day of the week. But press on. You’re halfway there. Keep fighting. Follow the lead of Forrest Griffin and Stephan Bonnar. So many moments on WWE Raw this past Monday pointed toward finality. Daniel Bryan and Kane calling off their partnership. CM Punk and Paul Heyman ending their business relationship. Alberto Del Rio abandoning the fans. Mark Henry nearly retiring (before going back to being the most awesome man on the planet). Nothing lasts forever in wrestling. No title reign. No undefeated streak. No partnership. No physique. No popularity. Nothing. All manner of factors contribute to the fluid nature of wrestling. Constantly shifting storylines. Expiring contracts. Flip-flopping fans. Injuries. And, all too often, death. The heroes and Hulks of my youth no longer stand tall. There are no Stones or Rocks which won’t be tumbled by time. If you enjoy something in the world of wrestling, enjoy it while it lasts. Sometimes I wonder if I’ve outgrown all this wrestling stuff. That’s kind of how I felt last night watching Wrestlemania XXIX. I spent all week blogging about my excitement for the event. I ordered a hundred chicken wings and invited all my friends to the house. I drank unhealthy amounts of Cheerwine out of the giant Hulk Hogan mug I found at a flea market a few months ago. 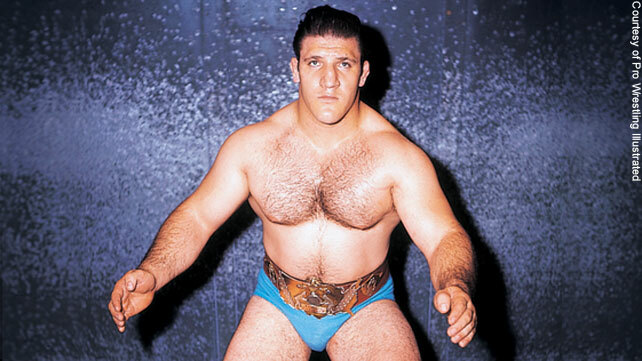 4,040 days – the length of time Bruno Sammartino held the WWE (then WWWF) Championship in the 60s and 70s. 20 years – the length of time the WWE Hall Of Fame has existed and ignored Bruno Sammartino’s unmatched accomplishments. At this year’s WWE Hall Of Fame ceremony, one of the great injustices of professional wrestling will finally be righted. After over two decades of feuding and refusing to appear, “The Living Legend” Bruno Sammartino will take his rightful spot in the WWE Hall Of Fame. This is a momentous occasion for wrestling history. Sammartino has been at odds with WWE Chairman Vince McMahon since the 80s over the way McMahon commercialized and sexed up the wrestling industry. 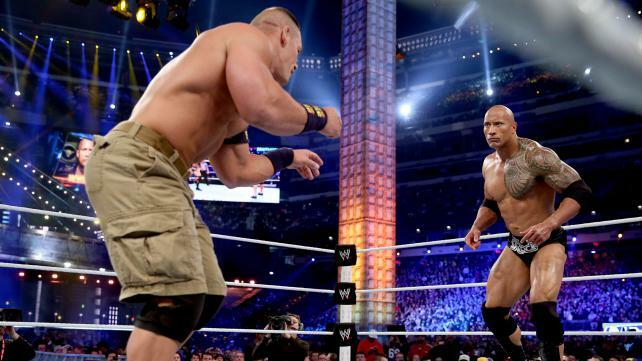 But the WWE’s new PG attitude seems to have bridged the gap between the two sides. WWE is finally recognizing Sammartino’s incredible contributions to sports entertainment. A new generation of fans who never heard of his legend will get to see Sammartino’s accomplishments on TV, DVDs, and the internet.